There are several discount Barcelona cards and passes that can help you save money in Barcelona Spain. However, it can be difficult to decide which one, if any, may help you save money and time on your trip. 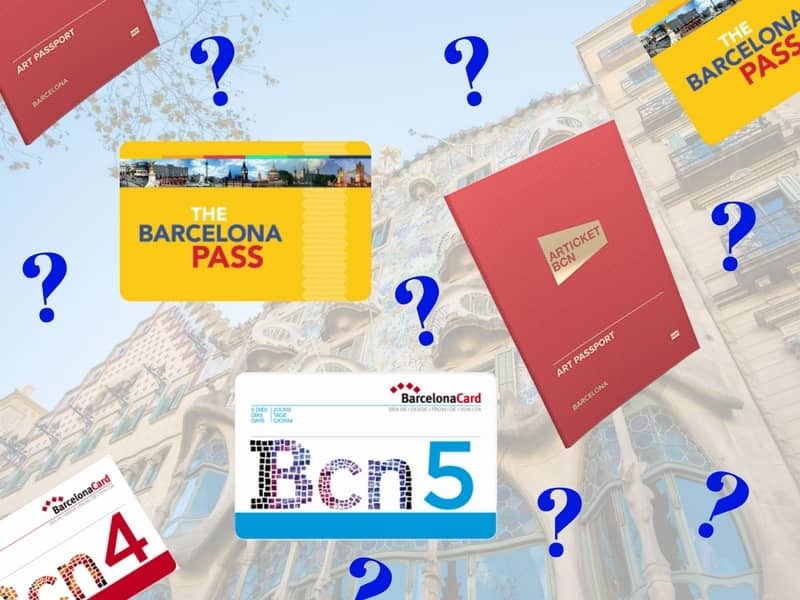 We’ll provide information about and compare four of the most popular Barcelona passes: the Barcelona Card, the Barcelona Pass, the Barcelona City Pass, and the Articket Barcelona Museum Pass to help you determine which may be a good fit for you. 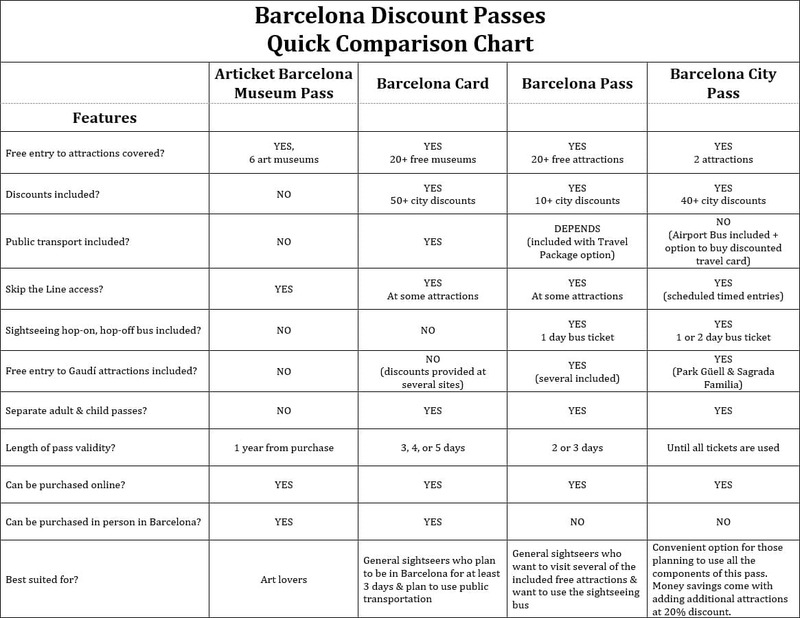 We’ll also provide a handy comparison chart so you can check which features the Barcelona Card has versus the Barcelona Pass, Barcelona City Pass, and Articket Museum Pass. We also share some additional resources about a few other Barcelona cards and transport passes that you might consider in order to help you save the most money on your trip to Barcelona. Most of the sites and attractions that charge an admission fee in Barcelona are covered by at least one of the Barcelona passes. Some of the Barcelona passes offer free entry and some offer discounted entry. The three main tourist passes are the Barcelona Card, Barcelona Pass, Barcelona City Pass, and the Articket Barcelona Museum Pass (a.k.a, Barcelona Art Passport). It is great that travelers have a choice when it comes to Barcelona discount passes; however, choosing the one that is the best fit can be a difficult decision. We have tried to make your choice easier by providing information about each pass below so you can compare them yourself. What attractions does the Barcelona Card cover? Does the Barcelona Card cover the Sagrada Familia? Does it cover any transport? How long is the Barcelona Card valid? Cost of the Barcelona Card? Who is the Barcelona Card best for? Who is the Barcelona Card not a good fit for? Where can I buy the Barcelona Card? What attractions does the Articket cover? Does the Articket cover the Sagrada Familia? How long is the Articket valid? Cost of the Articket Barcelona Museum Pass? Who is the Articket Barcelona Museum Pass best for? Who is the Articket Barcelona Museum Pass not a good fit for? Where can I buy the Articket Barcelona Museum Pass? What attractions does the Barcelona City Pass cover? 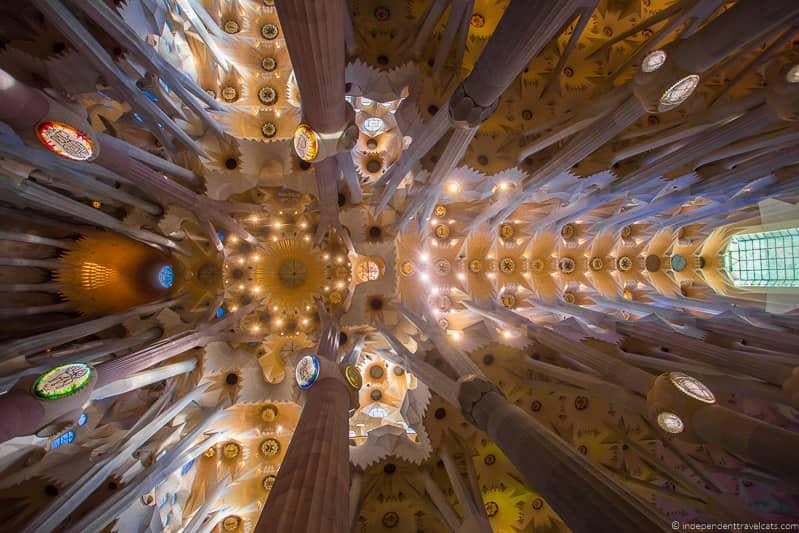 Does the Barcelona City Pass cover the Sagrada Familia? How long is the Barcelona City Pass valid? Cost of the Barcelona City Pass? Who is the Barcelona City Pass best for? Who is the Barcelona City Pass not a good fit for? Where can I buy the Barcelona City Pass? What attractions does the Barcelona Pass cover? Does the Barcelona Pass cover the Sagrada Familia? How long is the Barcelona Pass valid? Cost of the Barcelona Pass? Who is the Barcelona Pass best for? Who is the Barcelona Pass not a good fit for? Where can I buy the Barcelona Pass? How do I decide which Barcelona card is best for me? What should I do if I still can’t decide which pass is better? Is there overlap among the four Barcelona Cards? Handy Barcelona passes comparison chart? The Barcelona Card (also known as the Barcelona City Card) is a smartcard that offers free entry to over 25 museums and attractions and discounted offers on over 70 sites and attractions in Barcelona (museums, cultural attractions, entertainment, tours, shopping, restaurants, etc.). It includes skip the line access at some sites. The Barcelona Card also includes free public transportation and free use of the airport train and metro. Additionally, the card includes a number of restaurant and shopping discounts, entertainment discounts (e.g., flamenco shows), and rental discounts (e.g., bike, scooter, and locker rentals) throughout the city. See the full list of attractions and discounts here. No, it does not include entry to the Sagrada Familia. If you want to visit the Sagrada Familia, we recommend pre-booking your ticket online in advance as this is a very busy and popular attraction. If you are planning visit both the Sagrada Familia and Park Güell, you can purchase this combo ticket, which includes the Barcelona Card, timed entrances to the Sagrada Familia and Park Güell, and audioguides you can download to your phone for both Gaudi attractions. Yes, it provides unlimited free public transportation for the duration of the card. This includes free unlimited travel on Barcelona’s metro, buses, Catalan railways (FGC), trams, and also includes the airport train and metro. You can buy Barcelona Cards of varying lengths. They are valid for 72 consecutive hours (3 days), 96 hours (4 days), or 102 hours (5 days). As of January 2019 you get a 10% discount on the Barcelona Card when you buy it online through the Visit Barcelona shop. The Barcelona Card is great general discount card for those who plan to visit a number of attractions while in Barcelona and also plan to use public transportation as their primary means of travel within the city. It is easy to save with the Barcelona Card if you use it a lot during your trip. It is probably not going to provide as much value to those who don’t plan to visit many attractions covered by the discount card or those who don’t plan to use public transportation. The Barcelona Card is also likely not going to be a good value for those planning to spend less than 3 days in the city. You can buy the card online or in person at any of the city’s tourist offices (including at the Barcelona airport). The main advantage of purchasing it online is that you often get a discounted price online. If you purchase it online, you just need to exchange the printed voucher for your Barcelona Card at any of the city’s tourism offices. The Articket Barcelona Museum Pass (a.k.a. Barcelona Art Passport) is a fairly straightforward pass. It covers entry into six of Barcelona’s top art museums. It also provides fast-track entry into the art museums and covers admission into both temporary and permanent exhibitions. Each museum can be visited one time with the pass. No, the Articket only covers the six museums listed above. If you want to visit the Sagrada Familia or other Gaudí sites, you might choose a different pass or purchase an additional pass in addition to the Articket such as the Barcelona City Pass or the Barcelona Pass. If you are planning visit Sagrada Familia and Park Güell, you can purchase this Gaudí combo ticket which includes timed entry into both attractions and downloadable audioguides for your phone. It is valid for 12 months after purchase. The Articket Museum Pass is currently 30€ per person (as of January 2019). The Articket Barcelona Museum Pass is perfect for art lovers. If you plan to visit all or most of the covered art museums, you will definitely save money with this pass. If you visit all 6 of the museums, you can save up to 45% off of regular admission fees. Since it is valid for 12 months, it is also great for residents or those staying longer in the city as you can visit the museums at your leisure over the year. 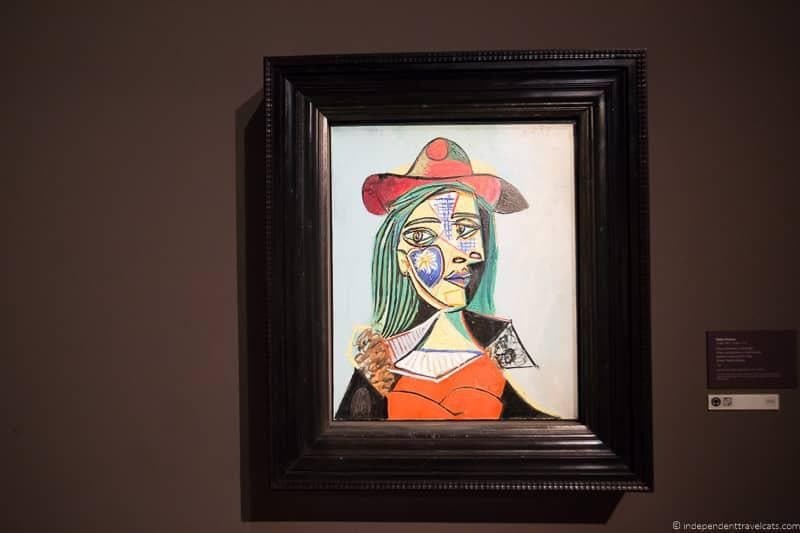 The Articket is probably not a good fit for those who don’t love Spanish or Catalan art, or for children as younger children get free entry into the art museums (age criteria is different for each museum). You can buy it online or in person in Barcelona at various points of sale around the city. It is often sold at a discounted rate online. If you purchase it online, you just need to exchange the printed voucher (which will be emailed to you after purchase) for your Barcelona Art Passport at the ticket desk of any of the Articket art museums. The Barcelona City Pass is a card that is geared towards convenience, offering free entry into 2 of the cities most popular attractions, Sagrada Familia and Park Güell, plus free airport transfers, and a Hop-on Hop Off bus ticket. Purchase of the card also gives users the ability to add on other Barcelona attraction tickets and tours (e.g., Casa Batllo, Camp Nou, Montserrat day trips) at a 20% discount. See the full and most updated list of potential discounts here. Yes, the Barcelona City Pass includes free timed entry into the Sagrada Familia. You can also get an upgraded Barcelona City Pass that includes either a guided tour of the Sagrada Familia (you can see that product here) or access to one of the towers at Sagrada Familia (you can see that product here). Yes, all Barcelona City Passes come with a free hop-on hop-off bus pass. You can purchase the version with a 1 day pass or a 2 day pass. You can also pay extra to add a Hola BCN! Travelcard to the pass at a 20% discount off the regular Travelcard price. The Travelcard provides you with unlimited travel throughout the duration of your Barcelona Pass on all the city’s public transportation, including the metro, Montjuïc funicular, TMB buses, local trains (FGC, Zone 1), trams, and regional trains (Rodalies de Catalunya, Zone 1). This also includes train and metro journeys to and from Barcelona Airport. The Travelcard matches the number of days on your pass, so a 48 hour Travelcard comes with 48 hours of unlimited travel. The pass is valid until you have used all its respective tickets during your visit. After purchasing the ticket, you can go online and book your time slots in advance for both Sagrada Familia and Park Güell. The hop-on hop-off bus ticket portion is valid for 24 or 48 hours from when you start using it. The advantage of this pass is its convenience and everything can be stored on your mobile phone. You have your skip-the-line entry tickets and times booked in advance for two of Barcelona’s most popular and crowded sites (Sagrada Familia & Park Güell). You also have included airport transfers (to and from Barcelona) and a sightseeing bus ticket. Note that beginning in 2019, for the Barcelona City Pass standard time entry ticket, the tickets for Sagrada Familia can only be booked from 2:00pm (14:00) onwards on the day you wish to visit. The Sagrada Familia tickets for the upgraded guided tour and tower entry passes are not affected. But the real cost savings to this pass comes if you add on additional museums and tours as you can save 20% each on them off the regular booking price. So this is great if you want to put together your own pass if the other passes don’t include the attractions you plan to visit. This pass is not a good fit for anyone who doesn’t plan to use all of its components (attractions, airport transfer, bus). It is also not a good fit for those who won’t have a mobile phone during their trip or don’t like the idea of a mobile pass as the pass and individual tickets are provided digitally (no physical pass option). You can currently only buy the Barcelona City Pass online as it is not available to purchase in person. After purchasing it online, you will receive it online via email along with instructions on how to use it and how you can book timed entries to attractions. If you are interested in the Barcelona City Pass, we recommend purchasing it at least several days before your trip so that you have the best access to timed entry ticket availability at Sagrada Familia and Park Guell as they can sell out a few days in advance during the busy season. It also can take a couple of days to receive all the digital tickets. 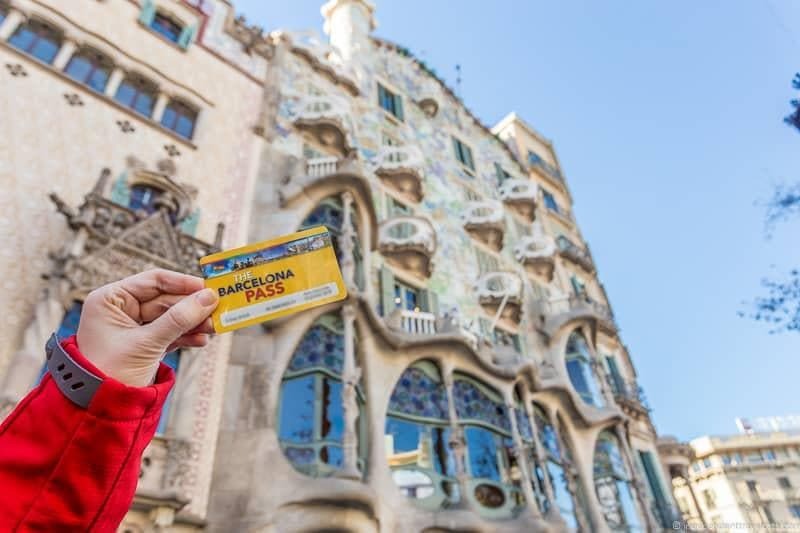 The Barcelona Pass is a visitor card that offers free entry to over 20 Barcelona attractions and tours. It also allows skip the line access to several attractions as well as a free 1-day Hop on Hop Off Bus Tour ticket. It also includes several discounts to local restaurants and entertainment venues as well as a free Barcelona guidebook. You can also purchase the optional Barcelona Pass + Travel Package which includes a Travelcard which allows for unlimited public transportation for the duration of the pass. The Barcelona Pass also provides discounts to some of the city’s restaurant, shops, and entertainment venues. See the full list of free attractions and discounts here. If you are planning visit both the Sagrada Familia and Park Güell, you can purchase this Gaudí combo ticket which includes timed entry into both attractions and audioguides you can download to your phone to help guide your visits. Yes, but it depends on whether or not you buy the additional Travel package or not. All Barcelona Passes come with a free 1-day hop-on, hop-off bus pass that allows for unlimited use of the sightseeing bus for 1 day. Visitors also have the option to buy a Barcelona Pass + Travel package, which includes a Hola BCN! Travelcard. The Travelcard provides you with unlimited travel throughout the duration of your Barcelona Pass on all the city’s public transportation, including the metro, Montjuïc funicular, TMB buses, local trains (FGC, Zone 1), trams, and regional trains (Rodalies de Catalunya, Zone 1). This also includes train and metro journeys to and from Barcelona Airport. The Travelcard matches the number of days on your pass, so a 48 hour Travelcard comes with a 2 Day Barcelona Pass. You can buy Barcelona Passes of varying lengths. They are valid for either 2 days or 3 days. The Barcelona Pass provides a lot of high-value free admissions to some of the city’s top attractions. It is a great value for those who plan to visit a number of the included attractions and also plan to take advantage of the free hop-on, hop-off bus ticket. If you are considering purchasing this pass, we recommend reading our full review of the Barcelona Pass article that provides even more details and our personal experiences using it. It is not likely going to be a good value for those who are not interested in visiting at least 4 to 5 of the attractions included on the pass. It is also probably not a good fit for anyone spending less than 2 days in Barcelona. You can currently only buy the Barcelona Pass online as it is not available to purchase in person. After purchasing it online, you can either have it delivered to your home before your trip or print and exchange an email voucher for your Barcelona Pass at the Redemption Center in central Barcelona. It is great that you have a choice when it comes to Barcelona discount passes; however, choosing which one is the best fit can be a difficult decision. How long will I be in Barcelona? What are my sightseeing priorities? What attractions in Barcelona are an absolute must-see? How do I plan to get around Barcelona (e.g., public transit, taxi, sightseeing bus)? What is my sightseeing budget? How important is skip-the-line access to me? Do I or members of my family already qualify for discounts or concessions (e.g., child, EU student, senior)? Probably the most important thing is to figure out what you want to visit in Barcelona and then calculate your cost savings with each pass. For example, if your priority is to learn more about Antoni Gaudí and visit some of the buildings he built, then you can use that information to make a list of the Gaudí attractions in Barcelona that you want to visit and figure out your cost savings with each pass to select the best one. In some cases none of these Barcelona passes may not be a good fit, and you would save money by purchasing individual tickets. This is more likely if you have very limited time in the city or if you plan to visit only a few attractions during your trip. Yes, there is overlap among the four passes. The Barcelona Card currently includes all of the attractions included on the Articket Barcelona Museum Pass. The Barcelona Card and the Barcelona Pass have overlap on many attractions although on those attractions that overlap, the Barcelona Pass offers free entry while the Barcelona Card offers only discounted entry. The Barcelona City Pass overlaps only with the Barcelona Pass on the sightseeing bus. The Barcelona Pass and the Articket Barcelona Museum Pass currently do not overlap at all, and both cover completely separate attractions. Whereas most people would only be interested in one card, there is a possibility that someone spending a longer time in Barcelona could benefit from purchasing two passes. For example, the Barcelona Pass and the Articket Barcelona Museum Pass could both be used by the same person since they both offer free entry to completely different attractions. To summarize the above information into a chart so you can compare the basic benefits of the Barcelona Card, Barcelona Pass, Barcelona City Pass, and Articket Barcelona Museum Pass side-by-side, we have created a handy chart below. Of course if you have any questions that we don’t answer in this post, just ask us in the comments below! Although the Barcelona Card, Barcelona Pass, and Barcelona Art Passport are four of the most popular passes, there are additional discount cards and travelcards that visitors may want to consider. Barcelona Card Express – This is a 48 hour version of the Barcelona Card described above – it offers 48 hours of unlimited travel on public transport, airport train travel, and more than 100 discounts. However, unlike the regular Barcelona Card it does not offer free entry to any museums or attractions. It is designed for people who want free public transportation and have only 2 days in the city. 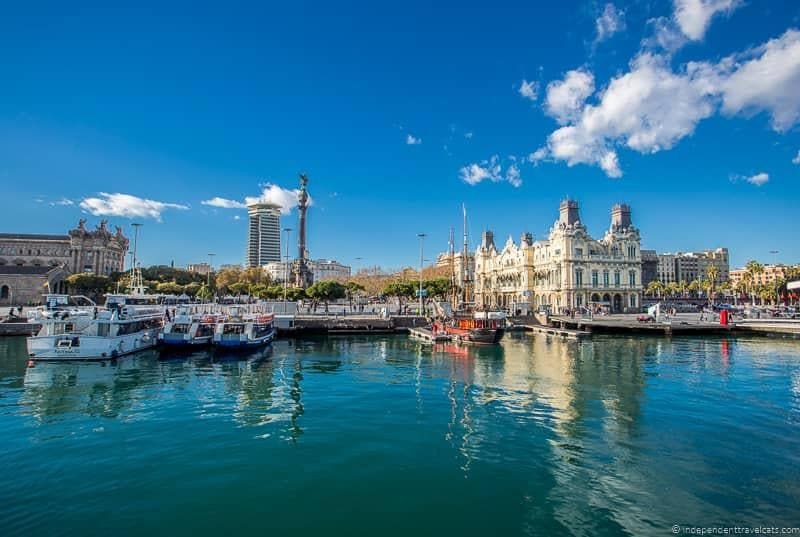 Barcelona Port Day Pass – This pass is designed for those arrive by cruise or boat into Barcelona with only a day to explore the city. Includes entry to Sagrada Familia, use of the Portbus to get into and out of Barcelona from the port, and a free 1 day sightseeing bus ticket. Also option to add additional attractions at 20% discount. Good option to consider for cruisers with limited time. Barcelona Night Card – This card allows free fast-track entry into over 25 of Barcelona’s night clubs, discotheques, and dance club venues across the city until 2am. It also provides information about each club and how to get there. Available in 2 night or 7 night versions. If you buy the Barcelona Card, you can receive a discount on purchasing the Barcelona Nightcard. Gaudi Bundle – This product includes timed entrance into the Sagrada Familia, time entrance into Park Güell, and downloadable audiogudes (available in several languages) to both attractions that you can listen to on your phone (bring earphones) to guide your visits. Tickets are delivered electronically by email. 3 Houses Combo Pass – This new combination tickets includes timed entry into 3 of Gaudí’s most famous buildings: Casa Batlló, Casa Milà, and Casa Vicens. Ticket currently saves you a total of 4 euros off online admission prices versus purchasing them separately online, so a ticket to consider if you plan to visit all three and are not purchasing one of the other passes. Modernista Pass – This recently introduced city card allows free entry into a number of Barcelona’s modernisme buildings and attractions. These include Casa Amatller, Casa de les Punxes, Casa Vicens, Sant Pau Recinte Modernista, and Palau de la Música Catalana. 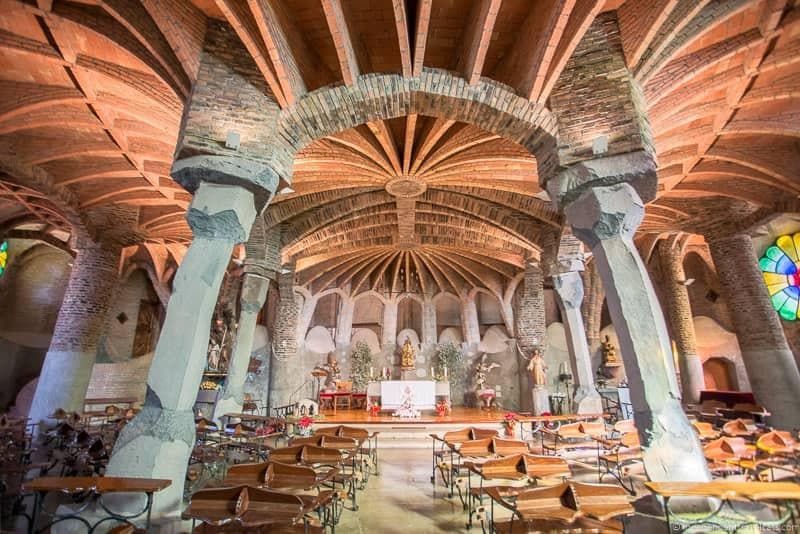 Great for lovers of Catalan moderism and/or architecture. Aerobus Ticket – If you don’t want to take the public transportation from the airport, you can book tickets for the airport shuttle bus to get into central Barcelona and to get from Barcelona to the airport. Buses run about every 5 minutes and take about 35 minutes. 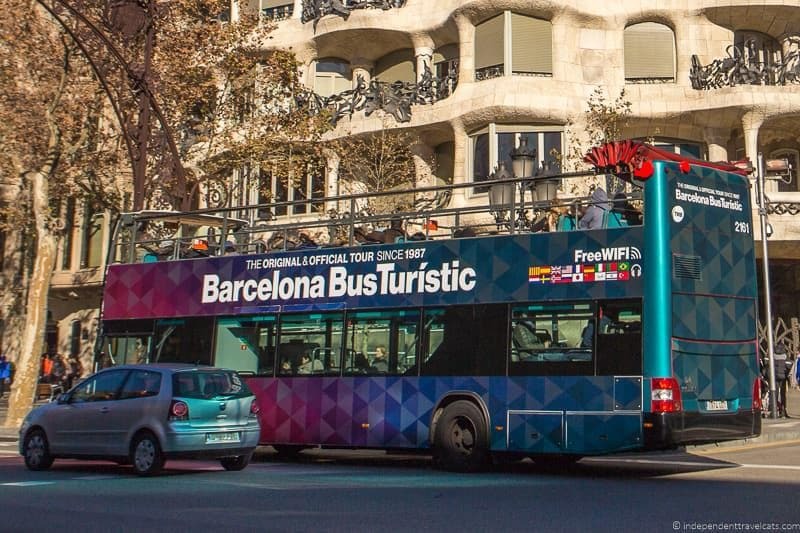 Barcelona Bus Turístic – A Barcelona double-decker sightseeing bus that conveniently stops at most of Barcelona’s most popular sites and attractions. Tickets allow for unlimited on and off access for the duration of the ticket along the company’s 3 different bus routes. Multi-lingual narration and free Wi-Fi is available on all of the buses. Sold as either 1 day or 2 day tickets. Hola BCN! Travelcard – This Barcelona Travelcard allows for free unlimited use of the city’s public transportation, including the metro, Montjuïc funicular, TMB buses, local trains (FGC, Zone 1), trams, and regional trains (Rodalies de Catalunya, Zone 1). The card also includes train and metro journeys to and from Barcelona Airport. T-10 tickets – A travel card valid for 10 public transit journeys within city zones 1 to 6 on the city’s metro, buses, local trains, trams, and regional trains. You can use this amongst your travel group so 2 people could make 5 one-way journeys together. Not valid for Aeroport T1 and Aeroport T2 metro stations on line L9 Sud. The tickets cannot be purchased online but can be purchased in person at multiple vending machines throughout Barcelona, including the airport and most metro stations. Hopefully the above post has helped you decide whether a Barcelona discount card will help you save money and time on your trip to Barcelona, and helped you decide which Barcelona card is the best fit for you! Have you used the Barcelona Card, Barcelona Pass, Articket Barcelona Museum Pass, or any other Barcelona discount or travel cards? If so, we’d love to hear about your own experiences using these discount cards. If you are traveling to Barcelona and have any questions about any of these passes, just let us know in the comments below and we’ll do our best to answer your questions! Tips on Using & Buying the Barcelona Pass: Is it Worth It? I’m going to be in Barcelona for 16 days in June and I want to see everything! esp art. If your main focus is art, then I’d definitely recommend the ArtTicket which allows you to visit 6 of the city’s top art museums and will save you around 45% on admission costs. It is valid for 12 months. Since you are in Barcelona for so long, I’d consider getting a couple of different passes and using them at different times during your visit. I’d also consider the Barcelona Pass and use that for 3 of your days to see all the attractions on it you want to visit as it will save you money if you are interested in most of those sites. 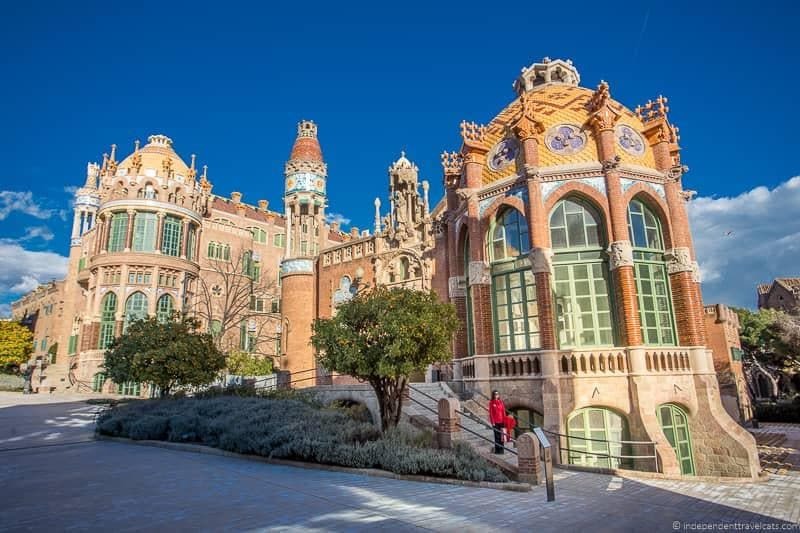 Then for another part of your visit you might consider the Barcelona Card as it gives you free or discounted entry into many of the city’s museums and attractions if there are more that you want to visit that are not included on the other 2 passes. It also gives you free public transit during its duration. Hello Jessica, thank you for a very detailed information. Although it should be pretty clear I’m kind of a bit confused. Traveling with my family (4 of us). We arrive on June 17th and we’ll leave on the 21st very early. Given your priorities in Barcelona, yes, I think those 3 passes would work well. The Barcelona Card will give you public transport, some free museums, and discount options around the city depending on what you choose to do. The 3 houses will save you each a little money if you plan to visit all of those houses (note there is a big ongoing construction project at Casa Batlló although it is still open for visits). The Gaudi Bundle doesn’t really save you money but it gives you the audioguides for free (download onto your phone in advance), so you can book those tickets or you can just book the entrance tickets separately. Thank you Jessica for your quick response. I found another alternative: buy Barcelona City Pass, which includes the Gaudi Bundle and HOHO, add the 3 houses at 20% off + Hola Bcn 72 hours. Is this a better option without spending a lot more? 137€ vs 116€. Can’t decide, need your help. Also, since the Batilo is under construction, should we avoid purchasing tickets and see something else instead? If you have calculated it will save you money that way, then I’d go for that as then you can add all the attractions you want to the pass as the reduced rate. I didn’t suggest the Barcelona City Pass since you mentioned not wanting the HOHO tickets. But I’d definitely take advantage of if you get the City Pass. I’d recommending buying the Barcelona City Pass at least a week or more in advance, as after purchase you will then need to choose the timeslots for the attractions that need them. In summer, these can book out a few days in advance. For Casa Batllo, I would check their website to see the latest updates on construction. I believe the estimates are that they will be finishing the exterior construction in May and the interior in June, so it may be completed or mostly done by your visit. Since you are going to be right next to the building and are interested, it makes sense to still visit as it is very close to La Pedrera (La Mila) which you are planning to visit anyway. But a next door alternative is Casa Amatller which is another impressive Modernisme building. I still have a question, hope you can help me: we (7 pensionadas) are going to visit Barcelona, musea etc, and want to book the Bus Turistic. I saw you get 20% discount with a Barcelona Card. Do you know how it works having a Barcelona Card? We show the card in the bus and get a discount from the full price ( = €30,- minus € 6,- = € 24,-) or from the price for 65+ ( € 25,- minus € 4,- = €21,-)? If we buy the TouristBus ticket on line we pay € 22,50… What is your advice? Yes, the Barcelona Card does give you 20% off the Barcelona Bus Turístic prices. I am not sure if that 20% would come off the full adult price or the discounted senior pricing, and I could not find any information about this on their website. They do note that some attractions have senior discounts but not clear if discounts apply to these rates or not. The card is provided by the Barcelona Tourism office, so I would call them (34 932 853 832) or send them an email (reservas@barcelonaturisme.com) to ask about the bus tickets and what they would recommend. I’d also ask them whether the Barcelona Card discounts apply generally to senior rates or not to make sure that the Barcelona Card will be a good value for you or not. Sorry we could not be more helpful. If you have any trouble getting a response, let us know and we can send them an email. Thank you, Jessica. I will follow your advice and send a mail to Barcelona Tourist Informacion! SUCH A GREAT SITE, VERY USEFUL AND DETAILED. I think the Barcelona City Pass may give be the best fit for you, it includes the Sagrada Familia, Park Guell, airport transfers, and sightseeing bus ticket. Then you can add on for a 20% discount Casa Batllo, Casa Mila, and the Camp Nou stadium tour. A second option would be the Barcelona Pass – this includes the Casa Batllo, Casa Mila, and Camp Nou tour (fast track entry). It also includes sightseeing bus and a number of other free attractions in Barcelona. But then you could purchase the Sagrada Familia and Park Güell tickets separately. Just note that not all the above are skip-the-lines tickets so if that is important, be sure to check on that. For Sagrada Familia and Park Güell, there are not really fast track entry, as the visits are timed, so you just skip the ticket buying line by pre-purchasing tickets/passes. But you go in at the same time as anyone else with your time slot. I am trying to buy 2 Barcelona City Pass cards with skip the line. The procedure wants my personal information first and then my credit card information. But I don’t want to pay first and then find out the times that I want to go to Sagrada Familia and Park Guell are not available. Shouldn’t you be able to pick your day and times to the attractions first and then pay? Hi David, Yes, unfortunately that is the case. It is because Ticketbar is a third-party supplier and there is a delay on their end to make the booking for some of the tickets; however, it should happen very quickly after you choose the times. If you purchase the passes and then can’t do the times, you can get a refund, they normally respond fairly quickly. However, we agree that this is not an ideal system and we have discussed this with them. If you don’t want to do that, you can purchase the tickets individually from the individual attractions. But if you decide to book and have any problems, do let us know and we will try to help. So I did buy the Barcelona City Pass with your link and was OK with the timed entries we got for Sagrada Familia and Park Guell…..we were happy with the times we got. We just had to flip the order we originally wanted to do them. We possibly could have got our times if we had bought an enhanced ticket to see the towers but at this time we did not. Is it possible to upgrade and change times if we decide we do want to do the towers? Thank you so much for such an informative website and your attention to it. Glad to hear that! So, you can’t upgrade once you are at Sagrada Familia but if you really want to, you can probably do so by emailing the Barcelona City Pass people and they can probably just charge you the price difference for the pass that includes a tour of one of the towers. We recently visited one of the towers and to be honest, were not too impressed given the amount you pay, but it is up to you of course! The exterior and the cathedral interior of the Sagrada Familia are definitely the most impressive aspects. Also don’t forget to take a look at the museum, crypt, and schoolhouses (all included in all tickets). Hello! My husband and I are going to Barcelona this June 21-25. We basically have 3 full days to tour around Barcelona. We would like to see the major points to visit in Barcelona like the Sagrada Familia, Park Guell, Casa Batillo and Casa Mila. Our other free time will be spending exploring around neighborhood and food tripping. I would like to ask you which pass should be the best for us which also includes public transportation. And one more question, which do you think is the best Airbnb to stay for 1st time visitor. Hope you can help me with my queries. Thank you. There are some different Barcelona passes combinations you could do, but I would consider the Barcelona Pass + Travel (will cover Casa Batillo, Casa Mila, sightseeing bus, and public transport plus 20 other attractions) and the Gaudi Ticket (covers timed entry to Sagrada Familia and Park Guell). For sightseeing ideas, take a look at our 3 Day itinerary and our guide to all the Gaudi sites in Barcelona. If you want to be central to many of the attractions, we generally recommend staying in the neighborhoods of La Rambla, El Raval, Barrio Gotico (Gothic Quarter), or Eixample. We generally use Booking.com. On our last visit we stayed at this Leonardo Hotel which offered a good value and an excellent location near Las Ramblas. But we have also used Airbnb in Barcelona, but be sure you book a licensed property as all apartments must be licensed by the city to be legal. Here are some central places that might work for you. I’m so glad I found this site/blog! My husband, 8 year old daughter and I are heading to Barcelona for a week in mid Feb. While we plan to do a couple of day trips outside of the city (thinking Monseratt and Rich, but would love recommendations! ), I’m struggling to figure out which pass(es) will best suit are needs. My thought is the Barcelona City Pass and the Barcelona Card (I recalled public transport is a breeze from my last trip pre-family). FYI our daughter is a city kid and used to walking, and loves contemporary art. Hi Sonia, Yes, that sounds like a good plan to me. There are a few combinations you can do but I think that makes sense. Since you are there for a week you can do either the 4 or 5 day Barcelona Cards and then use them as you go as they will get you into almost all the city’s art museums for free and free public transit, plus discounts on many other attractions. The Barcelona City Pass covers airport transfers, 1 or 2 day HOHO bus tickets, plus Park Guell and Sagrada Familia. You can also add additional attractions (like the Barcelona Zoo and Casa Mila) to the pass at a 20% discount so you may want to do that as well. For day trips, Montserrat is an easy one to do as a day tour from Barcelona. You can actually add a day tour to Monserrat to the Barcelona City Pass when you order for a discount. I am not sure what “Rich” is but other good options may be to see Salvador Dali attractions or Girona. Thank you! (Rich = Vich) . I read about Girona as well. I’ll look into it some more. You’re very welcome. Oh I think you mean Vic (instead of Vich)? The La Garrotxa area may be a place to think about as well as there are medieval villages, hot air ballooning, hiking, etc. There are some day tours that visit there as well. I am planning a trip to Barcelona in May and was trying to find the right discount ticket. You’ve taken something that I was finding complicated and hard to figure out, and broke it down so even I can understand. Thanks to this, I have figured out that a Barcelona Pass would probably be the best for our family of five. Thank you for the excellent guide and the comparison chart on Barcelona travel cards. I have done the following plan (attractions are numbered bellow) for 2 people for 4 days and would like your opinion on the best card options. We’ll be staying at Placa Catalunya, so the only city Metro transport we’ll need would be to get to attractions 2, 3, 7, 9 bellow and a return train to 10. At first glance it looks to me that I should go for Barcelona City Pass (2,3, discount for 4,5,9,10), Articket Museums Pass (6,7,8,9), T10 travel ticket, purchase Aerobus on-line. I am not sure that all my skip the line wishes are available and wether I have allowed enough time between Park Guell and Sagrada visits. Glad you found our Barcelona passes post helpful – it can be difficult to know about them all and how to choose the best one for a particular trip. I agree that based on your proposed trip and sightseeing priorities that the Barcelona City Pass is probably the best fit. The T10 tickets (just purchase once in Barcelona) for public transit are a good idea and the Barcelona City Pass does not come with public transit so you will need those. You don’t need the Aerobus tickets as a free transfer to and from the airport currently comes with the Barcelona City Pass. For the Articket Museum Pass (btw #9 is not included), I would wait to see which attractions are left after you have purchased the Barcelona City Pass – I think 20% off discounted tickets may be available to pass holders for the Miro, Picasso, and MNAC. I would check once you see the discounted amounts and you can compare the savings between buying the Articket or buying them individually at discount. Then you can decide if adding on the Articket would be a good deal or not for you. In terms of skip-the-line, I think skip the line or timed tickets are available for most of the locations on your list. Although in our experience, the MNAC and Miro museums are typically not that busy so I would not be too concerned about those museums. But the Gaudi sites, the Picasso Museum, and Camp Nou Stadium Tour tend to be busy most of the year. Sagrada Familia and Park Guell are the busiest attractions in Barcelona. You definitely want/need timed tickets for Sagrada Familia and Park Guell. I would recommend leaving 3 hours between entry times (this is what the folks who sell the Barcelona City Pass recommend as well). So if you do 9am at one, I’d make the other one noon, just to be sure you have enough time to visit and get between the two attractions. You can get there in less time, but if you miss your time, you may be denied entry and would have to buy a new ticket. The dates and times for both of these attractions tend to sell out in advance so I’d definitely book the time slots several days in advance if you can (Easter and summer are the busiest times of year), especially if you have specific times in mind. Hope that helps & wishing you a great trip to Barcelona! Many thanks for the reply Jessica. I will definitely book tickets well in advance. I am not clear if Montserrat discount is included with the pass or I should be buying that directly from the transport authorities. I can’t thank you enough for all this very useful information on Barcelona – particularly the passes! I know what I want to see, but the passes were overwhelming. Your information helped untangle all of this and get to a decision! Thanks so much for taking the time to comment. We are always happy to hear when our information has been helpful to other travelers! Glad you were able to figure out which Barcelona pass is the best fit for you, and do let us know if you have any further questions as you plan your trip to Barcelona! Before choosing a barcelona pass or card the best thing we can do is check our schedule to be sure that we Will be enough time to enjoy the stay. Thank you for sharing this information! Yes, making sure you have enough time to sightsee using the cards is definitely important to find out if it will save you money as well make sure to allow enough time to actually enjoy the attractions. Barcelona has much to offer! We really enjoyed our recent visit to Casa Vicens and happy to see that Casa Vicens is now included as part of the Barcelona Pass! Yes, given your list, I think you are probably going to be best purchasing separate ticket entrances for each place since no pass covers all of these, and I don’t think any of the passes would save you money if you are not going to visit any other attractions or museums. For the Sagrada Familia & Park Güell, you’ll definitely want to book your ticket and time in advance to guarantee entry. If visiting in summer, I’d also recommend pre-booking entry to Casa Batlló. You can book them through the official individual websites or through the Barcelona Tourisme shop. I think that Casa Lleó Morera is now closed to the public but you can still see the outside. But do check for the latest information on this attraction. Given your interests, you may also want to check out the new Moderisme Pass as it includes a lot of lesser known modernism buildings in Barcelona and may save you money if you plan to visit several of them. Thank you for your kind reply. I will follow your advice iro the sites to be visited. We are looking forward to our trip and appreciate all the information. Thank you for such useful information. We have booked a cruise leaving from Barcelona. Intentions is staying in Barcelona 2 – 3 days prior to the cruise and then about 5 days after the cruise. 1.) Would it be suitable to buy the pass as my husband is using a motorized wheelchair? 2.) is the transport included in the pass wheelchair accessible using a non foldable chair, and does it include airport transfer? Well I have lots of planning to do, and every bit of information is welcome. Looking forward to your kind response. I am not sure which pass you are referring to as there are a few reviewed in the article, but I think you mean the Barcelona Pass which you can read our full review of that pass here. 1. Almost all major attractions in Barcelona are wheelchair accessible; however, like most historic cities, there are going to be parts of some places that are not accessible to wheelchair users. So I would make a list of all the attractions you are most interested in and then check their websites for accessibility information. For example, the rooftop parts of some of the Gaudi sites are not accessible by wheelchair (only stairs). 2. Yes, all Barcelona Bus Turístic buses (the hop-on hop-off buses) are equipped with an access ramp and wheelchair space inside the vehicle. 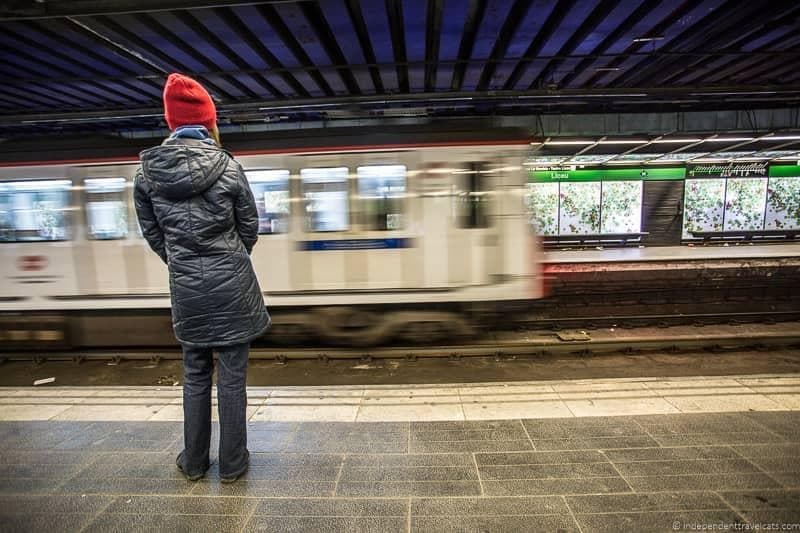 In terms of Barcelona’s transportation network, all the buses and most metro stations are wheelchair accessible but there area a few stations that are not. You can find out more here. In terms of large European cities, Barcelona is considered to have one of the most accessible public transit networks. You can take the metro to or from the airport with the included public transit card. Or if you want a faster options, you can buy a Aerobus Ticket which is an airport shuttle bus that runs between central Barcelona and the airport. Buses run about every 5 minutes and take about 35 minutes. So in short, yes, you should be able to visit most attractions, use the pass, and the public transit network in Barcelona. I would just check ahead on specific sites before you go. If you do want to purchase the Barcelona Pass, just be sure to book online, as it is not available for purchase in person. Wishing you and your husband a wonderful cruise and trip to Barcelona. Your blog is Wikipedia for Barca … thank you for your efforts. its sad none of the card includes Sagrada Familia, isn’t it? Could you please recommend a card which covers that? Kindly recommend few more that we should not miss in 6 days trip. Because the Sagrada Familia is funded solely by donations and ticket sales, it does not provide discounts for passes. So none of the main passes include it. There are some other passes that include it, but you are essentially just paying for the ticket plus the pass as they still have to buy your ticket from the organization. So you are best to buy your tickets here on their website as they are the only official ticket vendor. For the rest of the things you want to do, I’d probably recommend the Barcelona Pass (you can read more here) as it covers all the rest except for the nightclubs. It covers the FCB, aquarium, public transportation, and about 20 other main attractions in Barcelona. The longest pass is 3 days in length so I’d probably get that one. The other option is the 5 day Barcelona Card but it does not include free entry into any of the places you want to go, just discounts, so that’s why I would recommend the Barcelona Pass. In terms of what else to do, if you decide to purchase the Barcelona Pass, I’d look through the rest of the attractions to see what appeals, there are lots of good attractions in Barcelona but it depends on your interests. Here is a 3 day itinerary that may be useful. Also there are free things to do that you can do on the days you are not using a pass like walking around the Gothic Quarter, visiting parks and markets, etc. For the nightclubs, if you plan to go out more than 1 night then I’d recommend the Barcelona Night Card. There is a 2-night version and a 7-night version available currently. Hope this helps and wishing you a fun trip to Barcelona! Also could you please check this pass: the Barcelona TurboPass. it is different to both I think … is it better than Barcelona Pass? thank you for showing all the goodness, Jessica 🙂 I agree Barcelona Pass is still better there. Seems good value, right ? Hi Vi, Thanks for stopping by. The information you read is incorrect or is was about another pass. First, the Barcelona Pass is only available as a 2 or 3 day pass (there are no 4 or 5 day versions – at least not yet). Second, the hop on hop off sightseeing pass ticket is available with both the 2 or 3 day Barcelona Pass. The ticket is good for one full day with any Barcelona Pass. You can see that information online and purchase this pass here. There is no HOHO bus ticket included with either the Barcelona Card (although it does offer a discount on a bus tour) or the Barcelona Museum Pass. Hope this helps! Thank you so much for this information – it was really handy to be able to compare the Barcelona cards to see which might be the best for us. Thanks so much for this. I am visiting Barcelona in a couple of days so your information on the Barcelona Card and Pass is much appreciated as was the 3 day itinerary I have printed off. Excellent site and such a useful comparison chart. The one question that I haven’t been able to get clarification on: Does entry into the attractions include “skip the line” access? There’s so much to see in Barcelona. A pass card certainly seems the way to go if you want to see a lot of attractions. I will be going to Barcelona by end of next month so this article is very timely! Thanks for making it so easy to compare the passes, appreciate it! I bought the Barcelona Card when I visited the city for the first time and it worked well for me. During my second visit, I didn’t buy any cards or passes since I wasn’t feeling well and had to take things a bit slow.. Barcelona’s attractions are expensive, so, it is nice to take advantage of one of these passes. Such extensive and detailed information – wow! I am (sadly) not heading to Barcelona any time soon, but I’m going to share this for those who are! Your blog is an inexhaustible source of useful information, Jessica. I love how you compared the two cards for Barcelona, so that your readers could decide which one is the most useful for them. Thanks for joining us for #TheWeeklyPostcard again. Your handy comparison chart appeals to me on so many levels. I tell my children, “Everything is easier in a matrix.” If I can fit any information into a matrix, I go for it. Barcelona is so wonderful, well worth the visit. I am definitely going back to Barcelona at some point, I did not get to see everything I wanted on my last trip. I also didn’t know about all these different passes! I am going to have to sit down before I go and really figure out what I want to see. You did a great job laying out all the information so that I can figure out which pass is the best for me. This information on comparing the Barcelona Passes and Cards is quite useful. I better bookmark this page. Who knows, I met just get an opportunity to visit Barcelona in the not so distant future!